Dr.Kerry Chen, (The Centre for Kidney Research, University of Sydney, in Australia) and her colleagues examined all of the published evidence on cognitive and academic outcomes in children and adolescents with CKD. 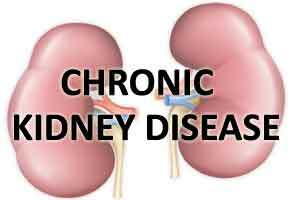 The researchers found that children with chronic kidney disease (CKD) may have lower IQ compared with the general population, with mild deficits across academic skills, executive function, and visual and verbal memory.The study has been published in Clinical Journal of the American Society of Nephrology (CJASN). The researcher found that clinical practice, this research provides relevant information on the areas of need–for example, working memory and mathematics–for which children with CKD may need guidance, practice, and assistance, particularly for children on dialysis,” said Dr. Chen. “It also suggests hypotheses for why the overall intellectual and educational outcomes of children with CKD are reduced compared with the general population, and how best to prevent deficits.